Ambassador Robert Seiple founded the Institute for Global Engagement (IGE) in 2000 to develop sustainable environments for religious freedom worldwide and to inspire and equip emerging leaders with faith-based methodologies of engagement. Seiple spent the previous two years in the State Department as the first ever U.S. Ambassador-at-Large for International Religious Freedom. This position, created by the International Religious Freedom Act of 1998, was charged with promoting religious freedom worldwide, promoting reconciliation in those areas where conflict had been implemented along religious lines, and making sure that this issue was woven into the fabric of the U.S. foreign policy. Seiple spent the previous 11 years as President of World Vision, Inc., the largest privately funded relief and development agency in the world. In that capacity, he increased the annual income base of the organization from $145 million to over $350 million per year. Additionally, Seiple guided the organization towards an expanded involvement in advocacy in the worldwide struggle against poverty and hunger. At his leaving, World Vision was administering help to more than 70 million beneficiaries in over 100 countries of the world. Seiple was born December 6, 1942 in the rural community of Harmony, New Jersey. He received an AB degree in American Literature from Brown University in 1965. From 1966-69, he served in the U.S. Marine Corps attaining the rank of Captain. He flew 300 combat missions in Vietnam and was awarded five Battle Stars, the Navy Commendation Award with Combat ‘V,’ 28 Air Medals and the Distinguished Flying Cross. This experience motivated him to become an outspoken advocate for the healing of Vietnam’s relations with the United States. Returning to his alma mater in 1971, Seiple held a number of administrative positions, including Director of Athletics and Vice President for Development. 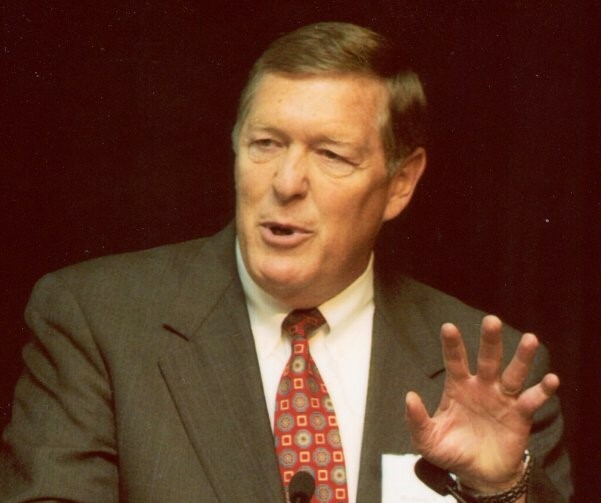 In his last position during a twelve year tenure, he successfully directed the “Campaign for Brown,” the largest fund-raising campaign ever attempted at the University at that time. Seiple was President of Eastern College and Eastern Baptist Theological Seminary from 1983 to 1987. In 1994, Seiple was named, "Churchman of the Year" by Religious Heritage America. In 1996, he received World Relief's "Helping Hands" award. In 2004, he was awarded the "Good Samaritan Award" by Advocates International. He is the recipient of the National Award from First Freedom Center as well as the Religious Freedom Award from the International Religious Liberty Association, both received in 2005. That same year, Seiple also received the Brown University "Distinguished Alumni Award" given by the Ivy League Football Association. In April 2006 Seiple received The Abraham Kuyper Prize and Lecture at Princeton Theological Seminary. He also received the Distinguished Service Award from the International Center for Law and Religion at BYU in 2006. He is the recipient of nine honorary degrees as well as the Secretary of State's Distinguished Public Service Award. Seiple is married to the former Margaret Ann Goebel and they have three grown children.